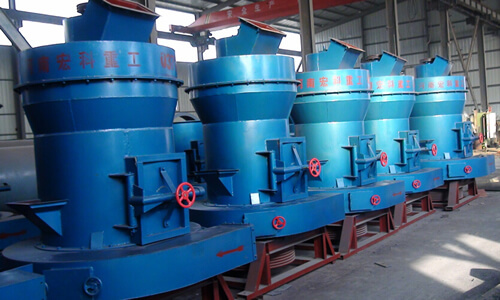 Zinc ash separator is composed of three parts, namely crushing, separation and dust removal. Although zinc ash separator is acted upon mechanical force with force-deformation of metal, the weight will not change. It is discharged at the bottom of machine. As property of impurities and zinc oxide is different, it is crushed into fine micro powder under force and pumped by fan, and discharged into separator. It is collected by fine powder in separator, and the gas is discharged into duster. Clean gas is discharged into the atmosphere, collected zinc can enter into furnace and smelt into zinc ingot metal, powder can be sold directly to processing or downstream products. 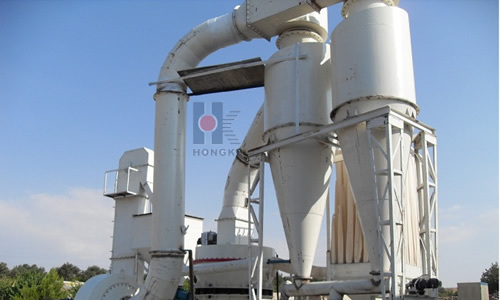 Running of material in zinc ash separator is accomplished by fans and is operated in negative pressure without dust escaping, so it can meet environmental requirements. The structure of equipment is compact with high degree of automation, less floor area (1.6 square meters), high efficiency, less manual work (2 people can operate it), low production cost, high recovery rate (metal recovery rate is 80% -95%), and improved working environment of worker , so it get praise of users. 1. For primary separation, metal and residual ash can is separated without using screening equipment. 2. The metal recovery of equipment can reach about 90%. 3. Capacity of equipment is high, and the capacity is 400 kg -2, 500 kg per hour. Different model of equipment has different output. A product does not need to be repeatedly grinding. 4. Production process is simple, and the equipment only adds material into host. After grinding, you can separate metal particles and residual ash with saving time and labor, simple production process and convenient operation. Two workers can complete it. 5. The equipment is environmental protection product, and in the working process of separator the material is operated in negative pressure state; under the action of dust collector there is no dust to escape. 6. The equipment installation is centralized with small occupation area. Mainly used for hot-dip galvanizing plant and electrolytic zinc plant as well as a electrolytic aluminum plant, section steel plant, casting enterprises in the production process, and these materials have a high economic value, but they cannot be used before going through the grinding and separating metal material and some impurities. After the material enters into the host, material is shoveled to grinding roller and ring for grinding by spade under mechanical force and centrifugal force of high speed revolution of grinding roller, and the weight will not change with deformation mechanism of metal. As specific weight of metal and oxide is different, mineral particles is discharged in the bottom of host. 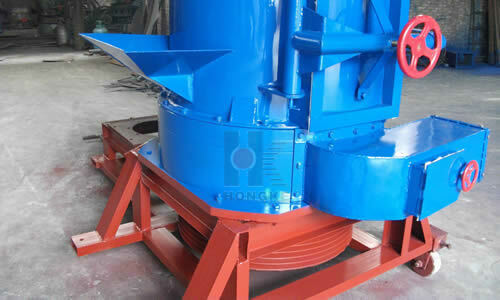 It is crushed into fine micro powder under force and pumped by fan, and discharged into separator. It is collected by fine powder in separator, and the gas is discharged into duster. Clean gas is discharged into the atmosphere. Different materials lead to different adjustive air volume, and fine mesh number is different (80 meshes -300 meshes). Smaller is the air volume, and more fineness is residual ash. It can be adjusted without shutting down with convenient adjustment, and recovery of mineral particles can be improved.